﻿ Book Poas Lodge (Poasito) - 2019 PRICES FROM A$107! 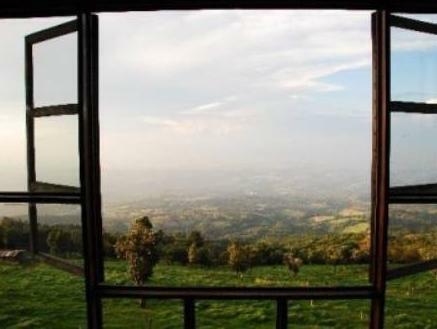 Just 2.5 mi from Poas Volcano National Park, this charming mountain lodge features a traditional Costa Rican restaurant and a tropical hummingbird garden. Each stylish room offers stunning views over the Central Valley. Decorated in warm colors, rooms offer free high-speed Wi-Fi, flat-screen satellite TV and tea and coffee-making facilities. All rooms have individual heating and a modern bathroom. The Mirador Quetzal restaurant serves characteristic local dishes, including roast pork and chicken, rice with black beans and delicious homemade desserts. Breakfast includes eggs, tropical fruits and fresh Costa Rican coffee. Poas Lodge’s multilingual staff are happy to arrange rainforest canopy tours, visits to La Paz Waterfall or daytrips to the capital city, San José. San José International Airport is just 17 mi away. Please note that check-in is from 15:00 until 20:00. If you expect to arrive after 20:00 you must notify the hotel in advance, take note arrivals after 22:00 are not permitted. For more information please contact the hotel directly. Please inform Poas Lodge of your expected arrival time in advance. You can use the Special Requests box when booking, or contact the property directly using the contact details in your confirmation.